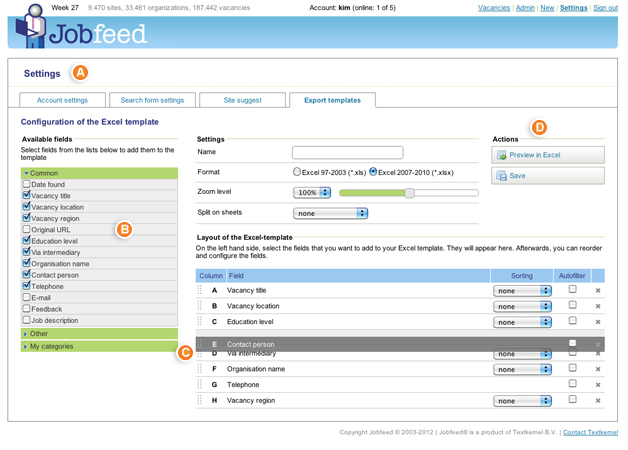 Jobfeed has been offering ready-made job data in the form of Excel files. Based on predefined fields and filter criteria, complete information is sent about job vacancies that are relevant for you. New is the Excel Self Service. You can now easily create and customize your own templates. View the Jobfeed Tour for a general impression. 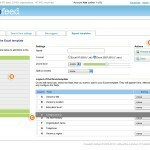 For more information, request a Jobfeed demo.